Remembering Lois Duncan, The Queen Of Teen Suspense : The Two-Way The beloved author died suddenly Wednesday at the age of 82. Just a teen herself when she started writing, Lois Duncan sent chills down a generation of spines with books like Down a Dark Hall. Lois Duncan was a pioneer in the genre of teen suspense. Books like Down a Dark Hall scared generations of readers. 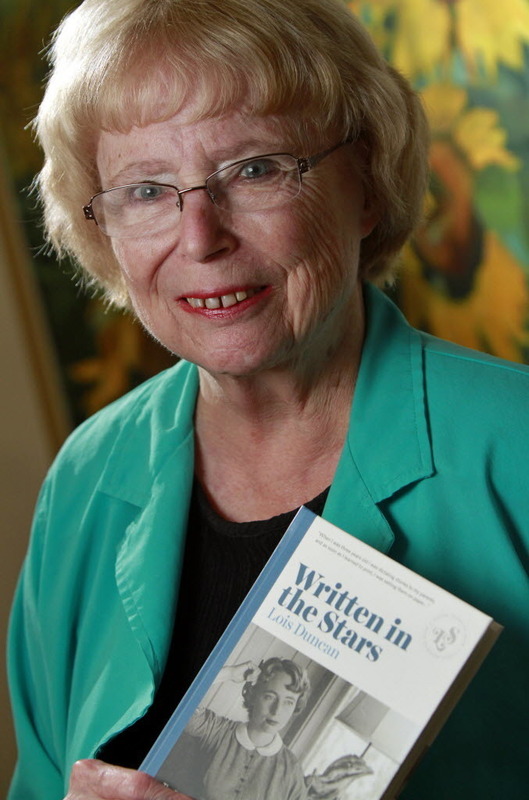 Author Lois Duncan has died at the age of 82. She was the queen of teen thrillers, a pioneer in the young adult suspense genre. Long before vampires sparkled or hunger was a game, Duncan was writing tense, scary stories for teenagers. Books like Down a Dark Hall and Stranger With My Face kept a generation of readers up at night. "You have girls switching bodies with each other, and you have girls at a boarding school being possessed by long-dead artists," says publisher Lizzie Skurnick, who has re-released some of Duncan's early work through her own imprint, Lizzie Skurnick Books. "It's these dramatic situations, but the writing is as good as any literary fiction today." Duncan was just 13 when she sold her first story. "From then on," she said later, "my fate was decided. I wrote what I knew about, and could hardly wait to rush home from school each day to fling myself at the typewriter." She typed up short stories — true confessions were her specialty — and dozens of novels, some of which were turned into movies. Though, as Skurnick recalls, Duncan didn't always like the results. "Lois once told me a funny story of seeing I Know What You Did Last Summer, and sitting in the movie theater just perplexed." That movie lifts the core of Duncan's original 1973 novel, but mixes it liberally with bloody urban legends. Just FYI, there's no lunatic killer with a hook for a hand in the book. Duncan published her last teen thriller, Gallows Hill, in 1997; she seemed to lose her taste for the genre after tragedy stuck her own life with the murder of her youngest daughter, Kait, in 1989. That crime was never solved. Duncan devoted the rest of her life to researching and writing about it. "I think Kait is worth the truth," she told Larry King in 1992. "We're just determined to not let it be called a random shooting if it wasn't." She never gave up. Warner Bros. had just been in touch to talk about a documentary on the case when Duncan died suddenly Wednesday at her home in Florida.